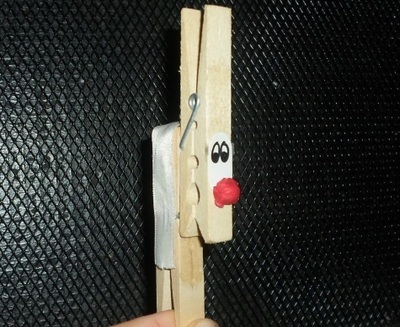 A great handmade addition to your Christmas tree. 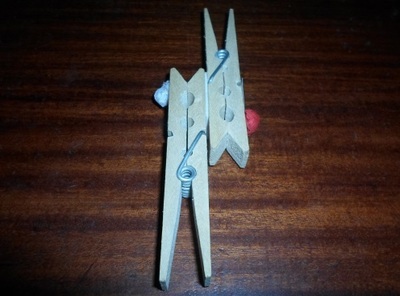 Use strong glue or double-sided sticky-tape to stick your two pegs together as shown below. Cut out a small oval-shaped piece of paper and draw some eyes on it. 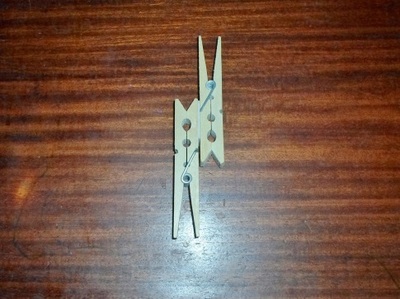 Glue the paper to the bottom half of one of the pegs so that it covers the metal bar. 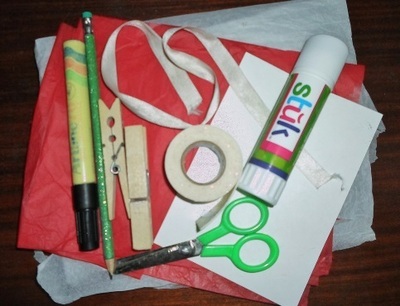 Attach a small ball of scrunched up red tissue paper for the nose. 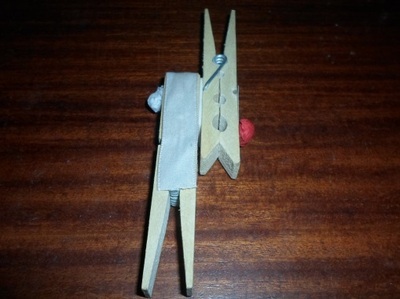 Attach a ball of white tissue paper to the back of the other peg for the tail. Cut out a piece of ribbon around 11 centimetres long (a little clear nail polish along the edges should prevent it fraying if needed). 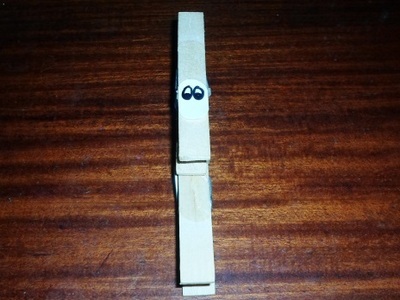 Stick the ribbon over the top of the back peg as demonstrated below, to create the reindeer body. 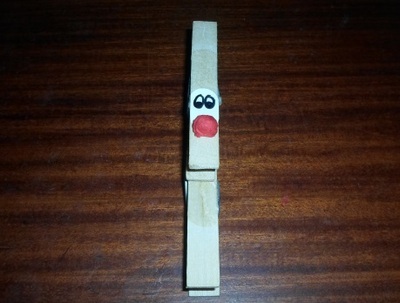 Thread a piece of string through one of the holes on the first peg so you can add Rudolf to your Christmas tree.